Location: Pasir Ris Street, Singapore. Ms. Tang lived with her father, mother, and two siblings. She liked to play with water, and would stand under the shower for hours at a time. Neighbors remember her as “a pleasant, quiet girl”. She was enrolled in a program at the Movement for the Intellectually Disabled of Singapore (MINDS). Ms. Tang’s father stabbed her to death before committing suicide. He was “worried about her future”. Perpetrator: Soh Ha Tang (Father). Name: Annie Ee Yu Lian. Annie lived with a friend and her husband. She worked as a waitress. Her caregivers took her salary, repeatedly beat her, and did not seek medical care when she was obviously dying. She died from a fat embolism, a clump of fat that tore loose from her injuries and clogged a critical blood vessel. She had a ruptured stomach and many broken bones from eight months of torture. 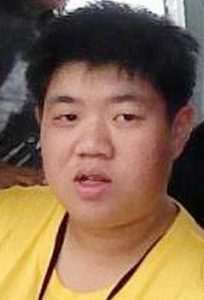 Perpetrator: Tan Hui Zhen (Housemate), pleaded guilty to causing grievous hurt, sentenced to 16-and-a-half years in jail; Pua Hak Chuan (Housemates), pleaded guilty to causing grievous hurt, sentenced to 14 years in jail and 14 strokes of the cane. Neither could be charged with murder because they “did not intend to kill” Annie, and because she died of a fat embolism, which is a rare medical complication. Name: Zhang (First name unknown). This 7-year-old boy was pushed from a 9th-story window by his mother. 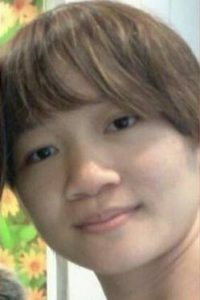 Perpetrator: Koh Sook Hoon (Mother); charged with murder. Shah was strangled by his father in a murder-suicide. Perpetrator: Shariffudin Abdul Kader (Father). Faheem and his parents moved to Singapore from India when he was just a year old; at five, Faheem was diagnosed with autism, and his parents were “troubled by his condition”. When he was seven, his father pushed him out a high-rise window and jumped out after him.